Against the backdrop of a Ministry of Manpower (MOM) report which adversely highlighted Singapore's slowing economic growth, weak investment returns, and negative employment market prospects, lies a bigger problem – that work-related stress is still Singapore's number one silent killer. While MOM tries to alleviate growing fears, the reality is that many businesses will either cease to exist, downsize, or relocate elsewhere in the coming years. Reassurances from MOM to help those displaced re-enter the employment market is falling on deaf ears with retrenchment predicted to remain high in PMET sectors and in companies trying to keep afloat in areas of weak demand. The workforce is unfortunately the real victims who are becoming, if not already, disenfranchised, marginalised, disillusioned, and reaching burnout. For Singaporeans trying to hedge their bets and prepare for the inevitable, it has created in its wake a new talent market trend of giggers, pluralists, and portfolio workers. Temporary placements (contractors) are rising faster than permanent hires, lured by lucrative benefits, flexibility, and mobility. For companies this trend offers workers who are "fit for purpose," filling a short-term market gap. Then there is FOMO (Fear Of Missing Out). Endless work events (onsite and offsite) and social commitments create a sense of guilt, dread, and fear by pushing already exhausted workers to their limit. While low-level stress can be productive and motivational in some cases, long-term or chronic stress is counterproductive and is linked to cardio-vascular disease, depression, anxiety, and even suicides. Having to balance the daily grind of job and family responsibilities is taking its toll on millenials. Research provided by Regus recently highlighted that stress levels in the Asia Pacific region are rising with 66% of workers in Hong Kong, 63% in Malaysia, and 55% in Singapore claiming to be more stressed. In 2013, a JobStreet survey reported that 60% of respondents in Singapore attributed work-related stress to mental fatigue, depression, and poor quality of life. While sick leave remains relatively low, it is inescapable that mental fatigue affects productivity levels, focus, and quality of work. Dr. Lim Boon Leng, a psychiatrist at Gleneagles Medical Centre, recently issued a stark warning to Singaporeans not to take work-related stress lightly. Referring to the Asian work ethic and mindset, he highlighted that many Singaporeans define themselves by their work and find it difficult to unwind outside of the workplace even while on vacation. Many try to cope with the situation by working longer hours to catch up with work-related matters which in itself aggravates the situation. In 2014, the Health Behaviour Surveillance of Singapore (HBSS) by the Health Promotion Board (HPB) reported that 24% of Singaporeans and permanent residents aged 18-69 reported high stress levels – an increase of 6% from 2012. This has increased year on year since. It is not surprising that psychologists and healthcare professionals in Singapore are red-flagging work-related stress. While there was no significant difference by gender, the survey however highlighted that younger employees were more stressed than their older colleagues. Can this be indicative of higher stress levels per se or that older employees take stress in their stride and are less vocal? Dr. Shyamala Thilagaratnam, Director of the Preventive Health Programmes Division, said, "One of the practices workplaces can adopt to reduce corporate stress levels is to distribute stress management resources at team meetings or at group sessions." "Encouraging companies to provide platforms such as peer support, helplines, or face-to-face counseling for employees to talk about their work problems also helps. Doing so may provide new insights and solutions to problems that they are facing, alleviating employee stress," she added. Dr. Rajeshree Parekh, Asia Pacific Director for Health and Wellness at Towers Watson, agrees that the mental, physical, and emotional health of the worker can severely impact the health of the company as well. Dr. Parekh highlighted that stress is a complex, multi-faceted issue – the cause of which cannot be attributed to one factor alone. "Stress isn't only created in the workplace, it may come from issues at home, health problems, and financial issues," she said. "But given the amount of time we spend at work and the pressure this places on us, it has a big impact." 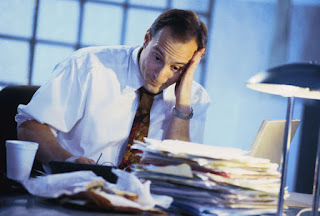 "Ultimately workplace stress is an individual issue. Workers need to build up resilience to the pressure caused by work through finding healthy ways to manage this. This may come naturally to some, but to most in the workplace, it is a learnt ability," added Dr. Parekh. Growing concerns are also being echoed elsewhere demonstrating that this phenomenon is not confined to South East Asia alone. In Japan, its Labour Ministry has officially recognised "Karoshi" (Karo means "overwork" while shi means "death") and linked it to an increase in cardio-vascular disease and suicides. In the USA, 44% of its working population claimed that work-related stress disrupted their sleeping habits to the detriment of mental and physical health. In a survey by CareerBuilder, many reported that they became less productive, lacked focus, became depressed, had memory loss, made frequent mistakes at work, and even dozed off at work. This phenomenon is mirrored in France, China, and London to the point that many organisations are tackling this issue by subsidising gym membership for staff, extending lunch breaks, having onsite holistic therapists, games, and rest areas and a budget for ergonomic workplace assessments and equipment. Perhaps Singaporeans need to re-frame their mantra from "Live to work" to "Work to live" and place a higher value on their mental, emotional, physical, and spiritual health.